Every year, American taxpayers are forced to subsidize the cost of health care for illegal aliens who have been arrested by federal immigration officials to the sum of about a quarter of a billion dollars. 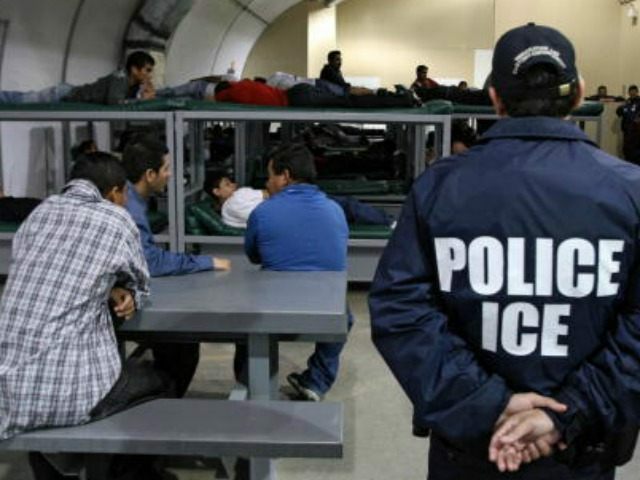 In data obtained by Breitbart News, Immigration and Customs Enforcement (ICE) reveals that more than $250 million in U.S. tax dollars goes towards providing medical, dental, and mental health care for illegal aliens and border crossers who are in ICE custody at any given time. This cost does not include the cost of illegal aliens and their U.S.-born children living throughout the country. Separately, these illegal aliens and their children cost the American taxpayer more than $17 billion a year in medical expenses, according to research by the Federation for American Immigration Reform (FAIR). The cost of providing health care to illegal aliens arrested by ICE at American taxpayers’ expense has slightly increased between 2016 to 2018. For instance, the cost of health care for illegal aliens in ICE custody in Fiscal Year 2017 was less than $248 million in Fiscal Year 2017. By Fiscal Year 2018, that total had increased about $20 million, as illegal immigration continues souring in the U.S. The federal data comes as the Trump administration plans to roll out a “public charge” regulation this year where welfare-dependent legal immigrants would be mostly barred from permanently resettling in the U.S., thus costing American taxpayers money. Currently, the nation’s Washington, DC-imposed mass legal immigration policy — whereby about 1.5 million unskilled legal immigrants are admitted to the U.S. every year — is a boon to corporate executives, Wall Street, big business, and multinational conglomerates, as America’s working and middle class have their wealth redistributed to the country’s top earners through wage stagnation. $250 Million is quite literally a DROP IN THE BUCKET compared to the TENS OF BILLIONS spent on caring for illegals NOT in ICE custody. The ones that clog up Emergency Rooms across the nation and get Filet Mignon level healthcare for FREE thanks to the EMTALA law from 1986.